Pope Francis deserves to be saluted for the sheer hard work and dedication that he has shown. His relentless dedication to the cause of humanity has brought him up to the level of a Pope, a position which the whole world respects and looks up for example to. Popes usually have a stiff behavior and speech, but Pope Francis has proven to be an exception. He has kept pace with time, spoken on contemporary issues, won people’s hearts with some really compassionate moves which resulted in him being admired by all; even by people who aren’t Catholics. That is a first. 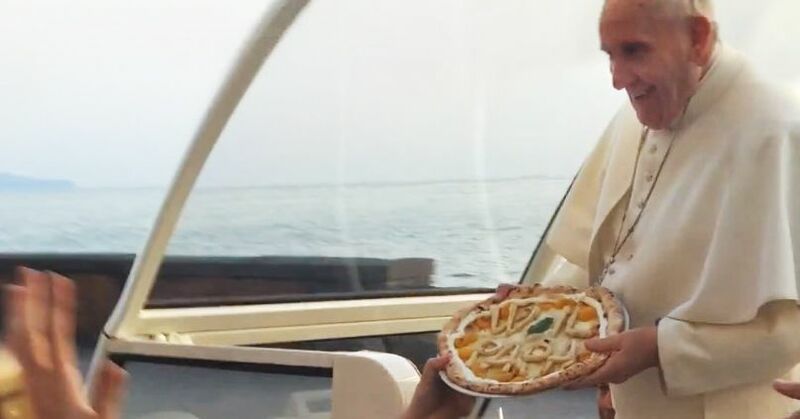 But most importantly, the Pope has a background that gives us simple and welcome surprises along with deep insights into the subtle spiritual journey he always was on and the ever ready cultural participation of the Pope. After all, he’s a human like the rest of us, and, before he became a Pope, he acted (approximately) just like any other dude. Inspiration for all of us especially those who think they are goners. But most importantly, the Pope has a background that gives us simple and welcome surprises along with deep insights into the subtle spiritual journey he always was on and the ever ready cultural participation of the Pope. After all, he’s a human like the rest of us, and, before he became a Pope, he acted (approximately) just like any other dude. Inspiration for all of us especially those who think they are goners. “Wake up!” is the name of the album and it has Christian rock songs in it. Could be a better “Ghetto gospel” than 2Pac’s, right? Pope Francis will play as himself in “Beyond the Sun”. We’re keeping our fingers crossed for him at the next Oscars’ gala. If Leo did it…who knows? Would he take one though? Remains to be seen. He hasn’t watched TV since the 90’s. We know that he has other spiritual things to do, but is it actually worth missing “Jersey Shore”? We’re not that sure because we are not as good enough as the Pope. He knows best and we agree. And this is one thing that he misses the most: eating pizza in restaurants. When you’re the Pope, you have to make big sacrifices. This is a harsh decision to live with, we have to hand it to him. Not that he pines for one now, because he may have plenty of pizzas to give away today, than he ever had before. And that he does, with smile and grace. Football is like a second religion in Argentina. 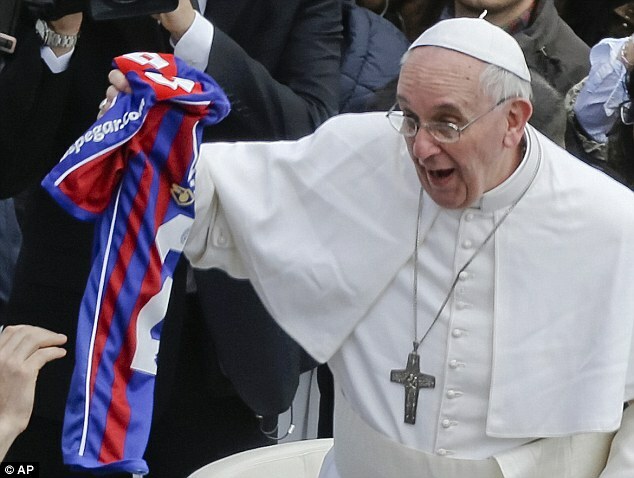 We wonder if the Pope secretly prays for his team to win. Is that cheating? Not at all. But still being he Pope he knows the laws of universality much better than today’s San Lorenzo fans. Pope Francis even proposed to Amalia. In order to make things harder for her, he said that if she didn’t accept, he’ll become a priest. You can guess what answer she gave, right? Cute lady. Sent a man to Godhood. Isn’t that a first too? She should be in the Guinness Book of World Records. The priest is the Pope today! Blogger with a passion for technology, cars and mostly everything related to the Internet. Recovering chocolate addict. Not so good at writing author bios, though.